[prMac.com] Hagenberg, Austria - Ergonis Software today announced the release of PopChar X 4.1.1, the award-winning tool for inserting special characters into your documents across all Mac OS X applications. The maintenance release works around a problem with inserting characters in FreeHand 10 and contains a number of fixes for user-reported issues, particularly unexpected termination of PopChar when collapsing or expanding Unicode groups. 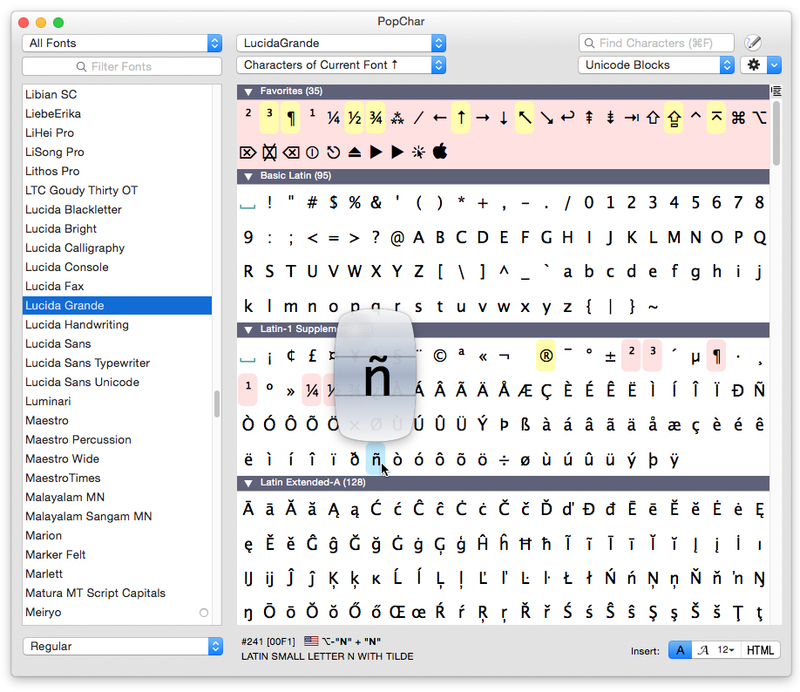 PopChar X 4.1.1 requires Mac OS X 10.4 or newer, Mac OS X 10.5 is recommended. Visit Ergonis Software's website to learn more about specific enhancements contained in this release and to download a trial copy. PopChar can be purchased securely on the Ergonis Software website. The upgrade to PopChar X 4.1.1 is free for all customers who purchased PopChar in the last 2 years. For information about purchases, including enterprise licenses, volume discounts, and upgrade pricing offers, visit the company's web site. Instead of purchasing PopChar by itself, customers can get the Macility Productivity Bundle that also contains two of the company's other productivity tools, Typinator and KeyCue. The pricing of the Productivity Bundle represents a saving of more than 35% over the separate purchase of its components. More information about the Productivity Bundle can be found on Ergonis Software's website.